In my professional career, I’ve met some pretty amazing people and today I’m honored to write about Doranna Hairstylist Riviera Maya, Mexico. This intuitive Italian hair & makeup artist was born in the Provincia de Treviso, near Venecia but is now a happy and proud Mexican with a tan and a profound love for the Mexican Caribbean sea and tacos!!! At a young age, Doranna’s teachers knew she had a gift for beauty, aesthetics, and art. After being admitted to an exclusive Hairstylist School in Italy, she was ecstatic to have found her true passion in life!! Her face literally lights up as she talks about it. Following her heart, she landed in Mexico 15 years ago and has called the Riviera Maya HOME since then. 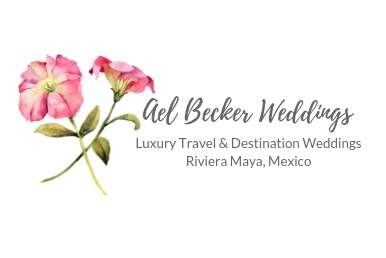 She simply fell in love with its natural beauty, the locals, the food and the incredible opportunity to work with destination brides on the most important day of their lives. Her superpower is a well-developed eye for aesthetics. “I just need to see the bride and the dress to create a timeless, elegant and beautiful look,” Doranna says. She defines her style as natural and romantic. Before moving to Mexico, she lived 3 years in Egypt where she worked at a salon and explored the depths of the Red Sea. Yes, she’s also an avid diver. Every morning she wakes up giving Thanks for a new day and all the blessings in her life; while she drinks a good cup of coffee and cuddles her cats. When she’s not working, Doranna can be found enjoying remote natural places, doing yoga or contemplating the ocean on her paddle board. She feels most connected when she’s close to nature, it’s where she goes to re-charge her superpowers. Favorite food: Tacos and avocado (she loves El Fogon). When it comes to clients, she loves diversity and a good challenge. This keeps her alive and inspired!!! She’s been a stylist for over 28 years and has worked with all kinds of ethnicities: Nordic, Indian, Japanese, Latin, African American, Chinese, British, Italian, Vietnamese … you name it. Doranna mainly uses MAC cosmetics for weddings (last longer) And trusts Kenra Professional for hair styling. She never gets bored of her job!! It’s always an opportunity to give her best! So if you are looking for a professional hair and makeup artists for your wedding in the Cancun, Riviera Maya, Tulum area … Doranna is your go-to-girl!!! Reach out to her here and confirm your date ASAP, this señorita is busy year-round: http://www.dorannahairstylist.com/contact.html. By the way, Doranna is opening her own salon in early 2018 to receive locals and brides and we couldn’t be happier for her (no more hotel vendor fees). Stay tuned for more details! !